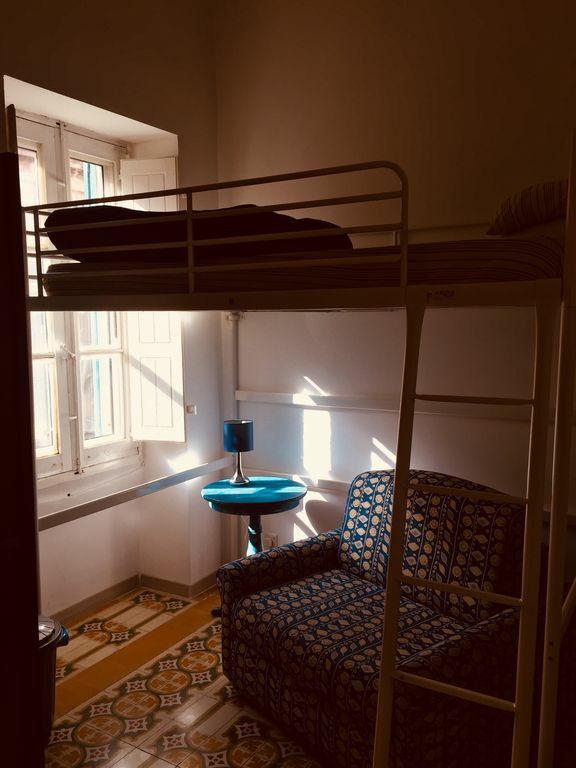 The studio room is part of an old restored town house in the centre of Rabat. It is equipped with a double loft bed, single sofa bed, air-conditioning, private mini kitchen, en suite and walk-in wardrobe. Complementing this room is also a traditional town house wooden balcony. The town house is in the centre of Rabat, only 10 minutes walk from the historical old capital city, Mdina. Mdina and Rabat are two popular localities in Malta, and each admired for very different reasons. Mdina is one of the most popularly visited places by travellers because there’s no place like it anywhere. Rabat, the village that neighbours Mdina, is known for its quiet, more rural character and natural beauty. Kitchenette is in the studio room. It includes a fridge, stove and microwave oven. Peacefull and clean, perfect to relax. It`s a nice, cosy and clean studio in a traditional maltese house, which has been restaurated in a very nice manner. It`s abaout 10 Minutes to walk to Medina, to the next bus stop it`s about 2 minutes to walk. Nadine ist very nice and uncomplicated, relaxed person. Our only problem was that the studio lies in one of the main roads into Rabat and therefore from the early morning till night it was quite noisy. Nous avons passé un très bon séjour dans ce studio bien aménagé et climatisé (indispensable à Malte l'été!). Nadine est très agréable et disponible. La localisation de la location permet de rayonner facilement aux quatre coins de l'île. Seul bémol: la rue est passante et donc assez bruyante.